River Royal shown in Lyon. Photo courtesy of Uniworld River Cruises. Europe has more navigable rivers than any other region in the world, and arguably more diverse cultures along its river banks than almost any other region. Cruising the entire length of the Rhine and Danube rivers alone—made possible thanks to the Main–Danube Canal—exposes travelers to 10 countries in Central and Western Europe. Along the way are charming villages, storied capital cities, fairy-tale castles, vineyards, and more—all accessible from your floating hotel. The primary European rivers on which cruises operate include Central Europe’s Danube; and the Rhine, Main, Mosel, Neckar, and Elbe in Germany. 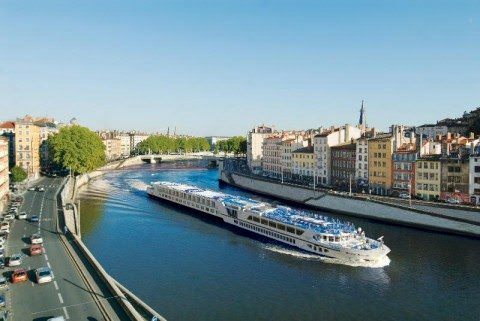 The Seine, Soane, and Rhône rivers in France are popular for both river cruising and barging. Although some cruises operate on Italy’s longest river, the Po, it is largely unnavigable because of low water levels and sediment. Victoria Prince offers cruises throughout Asia. Photo courtesy of Uniworld River Cruises. 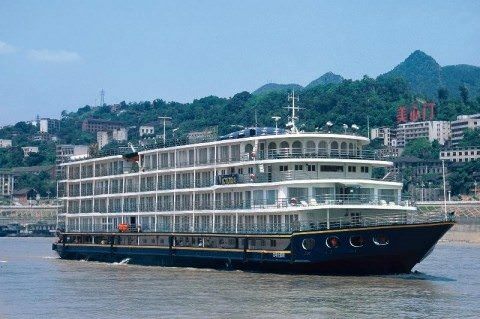 Russia and Asia are also becoming extremely popular destinations for river cruisers, thanks largely to their exotic locales and rich histories. Increasingly western-oriented, Russia is still an exotic experience even for the well-traveled cruiser. 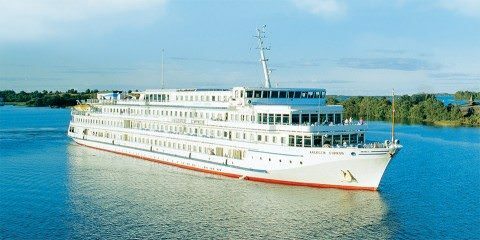 Since a couple of years back, new and – mostly – refurbished ships have entered service at a swift pace on the Volga, Svir and Neva rivers. 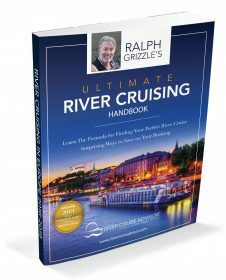 River cruising is, in fact, one of the most trouble-free ways to visit Russia. 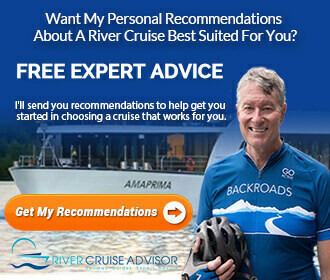 For one thing, river cruisers avoid some of the complexities of the visa procedure that precedes a visit in Russia. Still, river cruisers have more work cut out for them than do cruise ship passengers who call on St. Petersburg for up to three days. Cruise ship passengers may visit Russia without a visa for up to 72 hours, provided that they are on an organized tour with a tour operator licensed by Russian authorities. River cruise passengers will need to apply for visas prior to entry. River cruise companies make the process easier, however, than if you were to apply for a visa on your own. Most cruises between Moscow and St. Petersburg span 12 to 13 days. Passengers may stay for a couple of days in each of the two cities at the beginning or end of their cruises.